Finding your way to a ward or department in a large, unfamiliar and undoubtedly busy hospital can be difficult. If you add the nervousness and stress of the hospital appointment to the equation you can see why NHS staff spend many hours guiding patients around the facility. 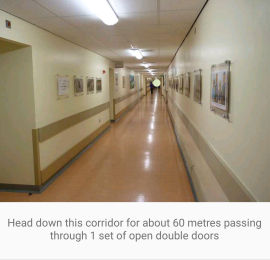 With our Wayfinding app for smartphones the patient has a simple but highly effective tool for guiding them around. Its as easy as selecting their start point and destination. 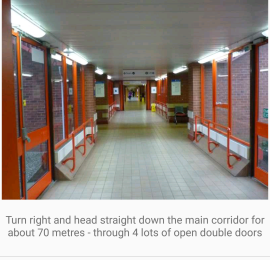 Instead of trying to utilise unreliable and difficult to manage technologies to provide the guidance functionality, our Wayfinding app has all the routes hard coded in. It is unrealistic to rely on Wi-Fi or GPS in a hospital environment and the reliability of the app would be questionable at best. Using our solution, one of our team comes into the hospital to photograph and map all the routes by hand and they are then uploaded into our proprietary software. This ultimately means the app will function as intended regardless of any connection requirements – and that even includes a standard mobile network connection. Available for free on Android & Apple app stores – download links below. If you want to integrate our Wayfinding solution into your patient kiosks why not use our secure REST API Wayfinding As A Service portal? 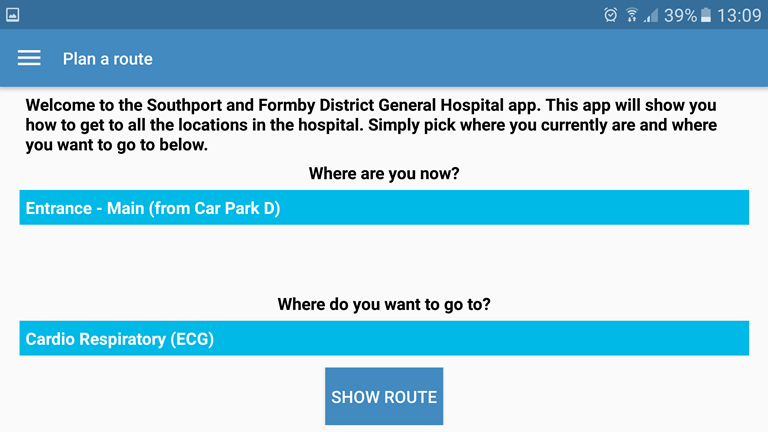 We will map out all the possible journeys in your hospital and these will be feed directly into our new portal. Your kiosk software can then instantly use this feed to display the same text and image directions that the app uses. Superb app... always find it difficult to navigate this maze so this app is an absolute gem! Great app - Shows simple to follow instructions, and renders well on phone. Brilliant app Tried this out for the first time yesterday . Why don't all hospitals have this ?